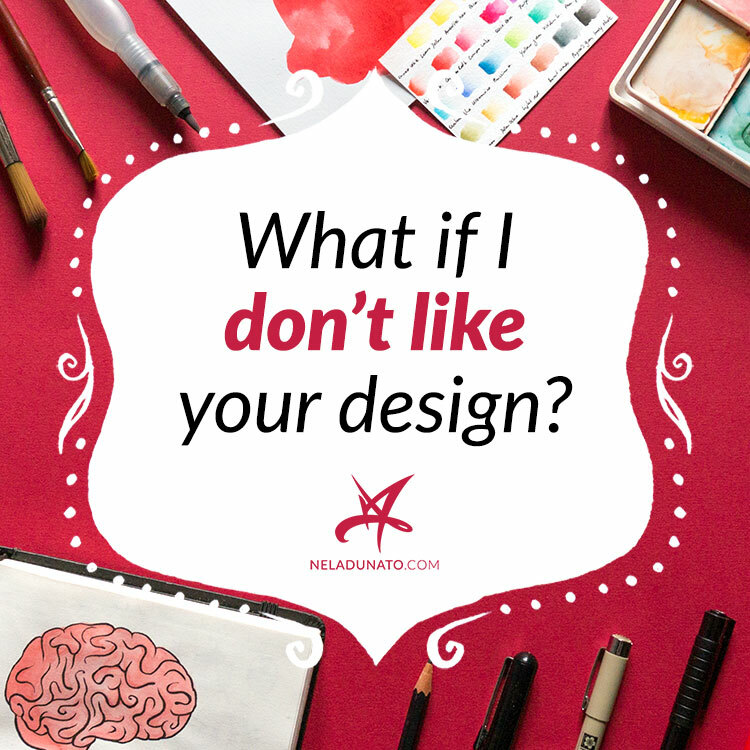 What if I don’t like your design? In over a decade of my design career, no one has ever asked me this question. Yet, I know it must be the #1 question going through my clients’ minds when we set out to work together. I understand how scary it is to order something before you have any idea what it might end up looking. I feel this way every time I walk into a hairdresser’s salon. What if she doesn’t understand what I want? What if I walk out with a little boy’s haircut, and have to fix it by myself? 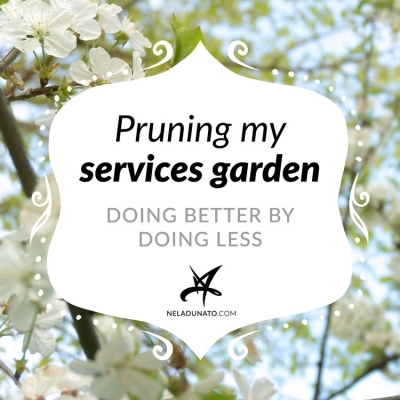 Luckily, I’ve spent years perfecting my process to make sure that my clients get exactly what they need, and not only feel pleased, but amazed with the results I provide. Here's what I learned, and how you can make sure you get exactly what you need as a client in your collaborations with designers. While loving your design is an awesome side-effect, it’s not the most important thing. 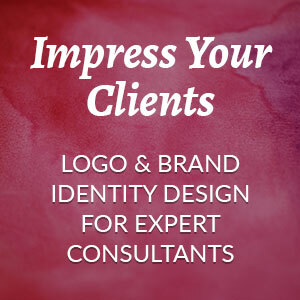 The reason we’re creating a design is to attract your ideal clients, and they’re the ones who need to get it. Sometimes as small business owners we share a lot of common ground with our clients, so it’s natural that if we like something, they will like it as well. But ultimately, it’s about getting into your ideal client’s head and creating something that will be appealing and easy to use for them. I know how difficult it is for business owners to “give up their baby” to a professional. You’ve been building this brand since day one, and no one else in the world knows about it as much as you do. You have very valuable insights about your business. On the other hand, designers have the knowledge of design theory, buyer psychology, technology and a ton of practical experience with projects very similar to yours. By combining their superpowers, business owners and designers are able to create a visually appealing, relatable and long-lasting brand that will stand out from the competition – but only if they are both allowed to reign their respective zone of genius. Meddling with design choices because of personal preferences is a recipe for failure, not to mention wasting the money you invested. If you think you could do it better yourself, why hire a designer in the first place? The purpose of a design is to attract your ideal clients, and they’re the ones who need to get it. I’m not telling you to give up all control over your brand to the first person who comes along. Your responsibility is choosing a design professional who gets you and your business, and who is capable of creating designs that appeal to you. Once you find a designer you feel you can trust, it will be easier to hand over some of the responsibilities to them, and allow them do the best work they can. Let’s go back to that hair salon story a bit. The first hair salon I visited in my life was recommended by my mom. I went there a few times, but I wasn’t happy – the last time I ended up with the aforementioned little boy’s haircut, instead of spiky punk rock teenage girl’s haircut. It was disappointing, and I never went back. 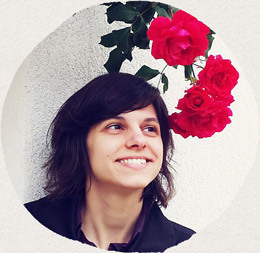 Last year I wanted to cut my hair short again, and I was looking for recommendations. One of my best friends found a great salon where she was getting these cool, feminine asymmetrical cuts, and suggested we go there together. That was the first time that I walked out of the salon happy with my hair. I’ve finally found someone I can trust. The problem with my first experience was that it was my mom’s hairdresser. No offense to moms out there, but a 20 year age difference is significant when it comes to fashion. My current hairdresser was recommended by a friend my age, with a reasonably similar fashion sense. She was able to do things I consider cool, not my mom. What does this have to do with design? Design is supposed to be an objective problem solving process, and that's what we all aim to do – but being a professional doesn't mean we can check our humanity at the door. Each designer has a unique perspective through which we see the world, and two designers might create radically different solutions for the same problem, both equally valid. I'm sure another designer would take the Savarakatini logo design process in a completely different direction, but the client chose me, so she ended up with a logo that has a tail. 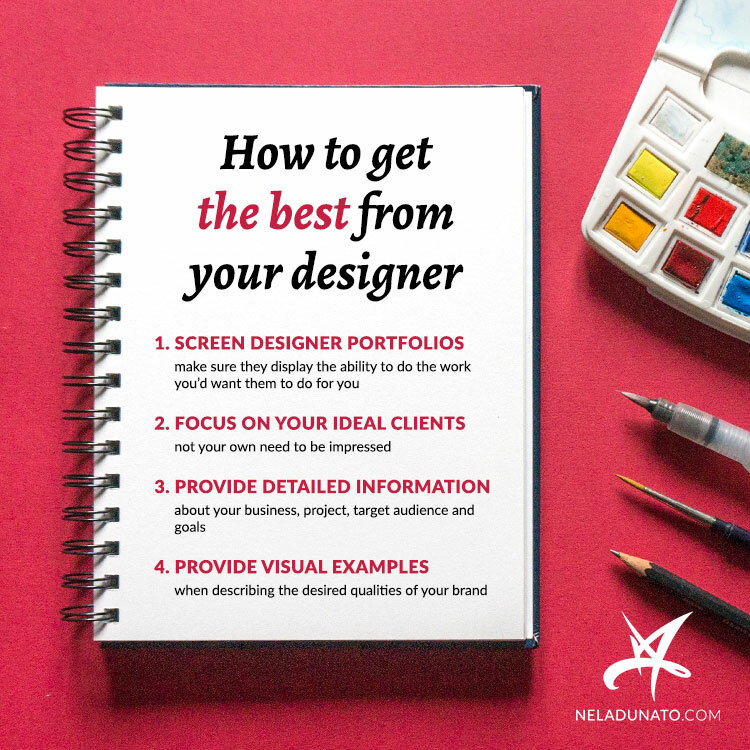 The best judge of designer's style is their portfolio. If you like what they did for other people, you'll like what they do for you. Don't hire someone just because you like them as a person, if you're not sure they can do the job right. Forcing a designer to adopt a style they aren’t very good at will be frustrating for both parties. Don't hire someone just because you like them as a person, if you're not sure they can do the job right. 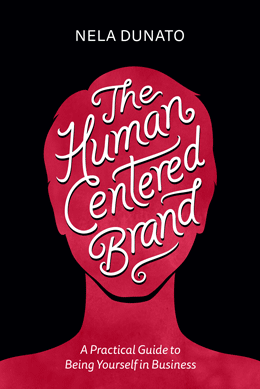 The main task of your brand is to get the attention and trust of your right people. It doesn't matter what your mom thinks, unless your mom is your target audience. It doesn't matter what your best friend thinks, unless she's in your target audience. Not everyone will like your logo/website/book cover, and that's OK – as long as the people your stuff is intended for, do. The secondary task of your brand is to turn off the people who would hate your stuff anyway. If someone isn't a good fit for your product or service, you need to let them know well in advance, so they don't waste their time and money. The aforementioned Savarakatini logo is not meant for grannies. It's not meant for children. It's not meant for Stepford wives or truck drivers. It's intended for strong, entrepreneurial women who appreciate a quirky sense of humor and want to have more fun in their business. If your brand is polarizing, ie. people either have a strong positive reaction or a strong negative reaction, that's a good sign. It means it has character. The secondary task of your brand is to turn off the people who would hate your stuff anyway. In the beginning of the project, I send my clients a project questionnaire where they supply information about their business, their project, target audience and goals. My questionnaires are pretty lengthy (15-20 pages), and for a very good reason. It’s like I read their minds – except I don’t. I read their responses to my questionnaire, and think about the design problem from multiple points of view – theirs, their clients’ and my own. Incomplete information means the design will not hit every intended goal. That's why it's important to be honest, and share what you really mean, not what you think you want. It's not even funny how many times clients have requested a “simple and minimal” design, and then weren't happy because it lacked the frills. Don't ask for minimal if it's not what you really want! When I go to a hairdresser, I print out a bunch of pictures that show what I like, and tell her to do what she thinks would work best for my hair texture and the shape of my face – because that’s her job. Trying to describe what I like in words is much more difficult. Business owners often use words like “simple” and “minimal” without knowing what they mean in a visual sense. It’s then the designer's job to decipher those terms and turn them into symbols, colors and composition. If we’re on the same page regarding the word “simple”, it will be fine. The problem arises when you mean one thing, and I mean another. To prevent miscommunication, provide visual examples of what these qualities mean for you. These examples may be websites, ads, magazines, Pinterest moodboards, etc. 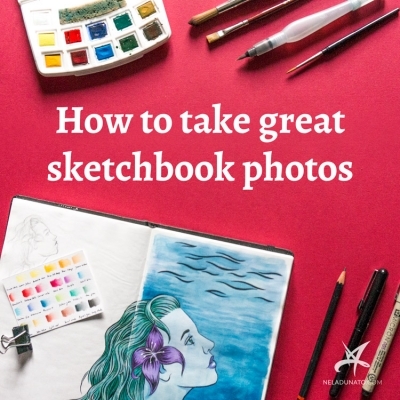 The purpose of visual examples is not to create a design that looks just like them – it’s to clarify what kind of stylistic direction you’re looking for. If you tell me you like “simple”, that doesn’t mean anything. If you tell me you like the Apple, Nike and Twitter logos, that means something – in this case, a solid-color symbol with a unique and immediately recognizable shape, even when the name of the company is not present. Because I follow this process, I’m able to get my designs right with minimal revisions, and my clients feel like I truly understand them. A big part of the responsibility for your project’s success is in the hands of your designer – but you’re the one who needs to choose the right professional to work with. I hope this guide will help you in making the right choice. If you’re currently on the lookout for a designer to collaborate with, check out my portfolio. If you dig the style of work I do, I’d love to talk to you about your project. Yes, that's crucial, because they might have gotten a different impression online, or they just have no idea what to expect. I've put all of this in my documents that I send them before we sign the contract, so they can decide if my approach is right for them.